Home Food Can Dogs Eat Pineapple? Can Dogs Eat Pineapple? Let’s find out in our complete guide to dogs and pineapple. Including the answer to that all important question – does pineapple stop dogs eating poop! Many people enjoy ripe pineapples because they are deliciously tart and sweet. It’s no wonder we want to share it with our canine friends. Both dogs and humans benefit from fruits and vegetables so it may be tempting to share this treat with your pooch. But can dogs eat pineapple? We are going to explore this delicious fruit, and take a close look at if dogs can have pineapple safely. Raw pineapples have lots of fiber and natural sugar, which could have negative consequences for your dog. Ingesting too much fiber could lead to digestive issues like constipation. While too much sugar can lead to obesity. Keep in mind that a dog’s digestive system did not evolve to consume lots of sugar. So excess amounts of fruit will likely lead to an upset stomach. For the reasons above, pineapples should be given in moderation as a treat. Not as part of a regular diet. It is worth noting that although diabetes in dogs is not normally caused by high sugar intake, some breeds are more predisposed to getting diabetes than others. And high sugar levels in early undiagnosed diabetes can lead to worsening of the condition. 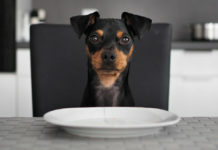 So if you have a dog from a breed that is at higher risk of diabetes (Diabetologia), you might like to be more cautious in giving sweet treats. Or more careful to give them in moderation. Just make sure to remove the spiky pineapple skin and tough core. These parts of the fruit are not safe for your dog to chew on. Only offer the fleshy section of the fruit to your dog. When you first feed your dog raw pineapple, give him a small slice. Wait an hour and see how his body responds. If nothing happens, then it is likely sitting well with your dog. But if there is vomiting or diarrhea, it is best to leave this fruit out of your pooch’s diet. If all is well, try another single slice again in a couple of days. Too much pineapple can be bad for dogs. Since pineapples have a lot of fiber, dogs that consume it may get constipation. This may sound counterintuitive because we have all heard how good fiber is for your digestive tract. However, fiber absorbs a lot of water and can lead to constipation. The sugar and acids in pineapple can also do your dog harm. Too much sugar can lead to health problems like diabetes and obesity. And the acidic nature of pineapples can lead to tooth decay. So make sure to only treat your dog to pineapple only a few times a week at most. Will Feeding My Dog Pineapple Stop Him From Eating Poop? So we know that the answer to can dogs eat pineapple is yes – in moderation. But what about that old wives’ tale about dogs who eat their own poop being stopped by feeding pineapple? Some dogs eat their own poop. This behavior is known as coprophagia. 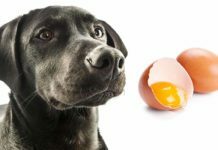 It is not exactly known what causes coprophagia in dogs. It may be related to not getting enough nutrients from their food, a behavioral problem, or a disease that increases appetite. No matter the cause, dogs eating poop can be distressing to their owners. Of course we want the behavior to stop. Some people believe that you can feed dogs pineapple so they stop eating their poop. The idea is that the pineapple will alter the poop to be unappetizing to the dog. Very sadly, there is no evidence to support this claim. Many people have found that their dogs continue to eat their own poop even after feeding it pineapple. You can find other effective ways to prevent dogs eating poop in this article. 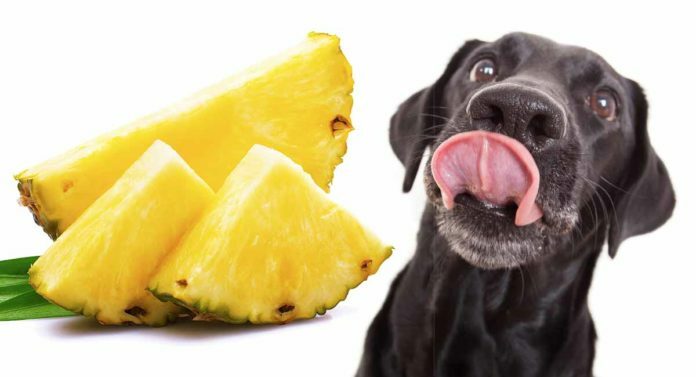 So the answer to can dogs eat pineapple is yes – but is it actually good them? Ripe, raw pineapples contain a high amount of vitamin C. Along with a host of other vitamins and minerals. 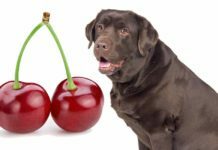 It is a nutrient dense fruit and given in moderation, is good for dogs. Vitamin C has been shown to play an important role in skin and coat health in dogs. And to help reduce inflammation and wax/oil levels in dogs ears (Ann. Fac. Medic. Vet. di Parma. So treats rich in Vitamin C may also be helpful for dogs that suffer from waxy or itchy ears! However, it is possible to have too much of a good thing. How much you should feed pineapples to your dog depends on his size. If you have a large Labrador, you can feed him a few more slices of raw pineapple than a Chihuahua for example. Although pineapple contains some great nutrients, there are lots of other ways to make sure your dog gets these vitamins. Complete dog foods should contain everything he needs. You can give other foodie treats that are high in vitamins, or talk to your vet about vitamin supplements. 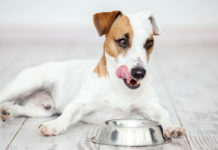 If you are worried your dog’s diet doesn’t contain everything he needs, do talk to your vet. Your dog may well enjoy pineapple, and even benefit from it. But he doesn’t need it. We know that dogs can eat fresh pineapple in small amounts on occasion. But what about canned pineapple? Canned pineapple may be more convenient to eat than fresh pineapple since it is already processed and pre-sliced. However, canned pineapple is usually packed in lots of syrup and contains lots of concentrated sugar, which is not so good for your dog. Not only is sugar bad for your dog’s teeth, too much sugar can make your dog overweight. And dogs that are carrying too much weight are at increased risk of a number of health problems. Including cancer (J. Vet. Int. Med.). One way to mitigate this extra sugar content in canned pineapple is to rinse it. Holding the canned pineapple pieces under running water will help to get rid of excess sugar. If you have a choice between canned or fresh pineapple, choose fresh pineapple to feed your dog every time. If your dog loves pineapple, then he’s sure to be a fan of these pineapple recipes for dogs. We have seen that some fresh, raw pineapple is safe to feed your dog. Not only that, but pineapples are good for your dog in moderation. It contains a high amount of vitamin C and other vitamins and minerals, which can help supplement your dog’s intake of these nutrients. Just make sure to limit the amount of pineapple you feed your dog because of the high fiber and sugar content. Do you have experience with your dog eating pineapple? We would love to hear about it in our comments section below. 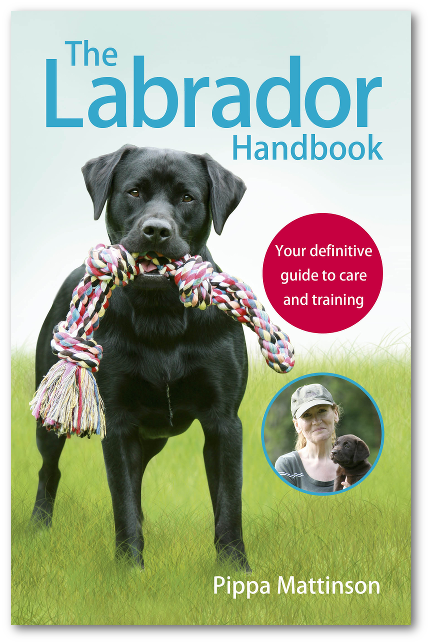 You may find the following articles helpful when deciding what treats to give your Labrador. Can Dogs Eat Peaches As A Safe Snack? Diabetologia. Oct 2005. Catchpole, B. et al. Canine diabetes mellitus: can old dogs teach us new tricks? The Journal of Nutrition. Aug 2004. Rand, JS. et al. Canine and Feline Diabetes Mellitus: Nature or Nurture? Ann. Fac. Medic. Vet. di Parma. 2004. Quintavalla, F. et al. 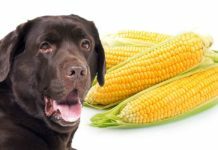 The Role of Nutrition in the Health of Canine Ears. Journal of Veterinary Internal Medicine. Jun 2008. Alenza, DP. et al. Relation between Habitual Diet and Canine Mammary Tumors in a Case‐Control Study. Neurobiology of Aging. Sep/Oct 2002. Milgram, NW. et al. 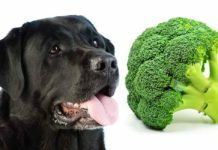 Dietary enrichment counteracts age-associated cognitive dysfunction in canines. Previous articleDog Zoomies – Why Do Dogs Run In Circles? My Lab is destroying my pineapple plants and appears tobe eating the roots. Any ideas why or how to stop it?